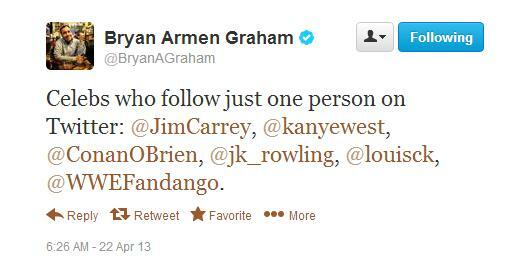 Predictably, Kanye’s one follow is Kim Kardashian… who I once threatened to kill, apparently. 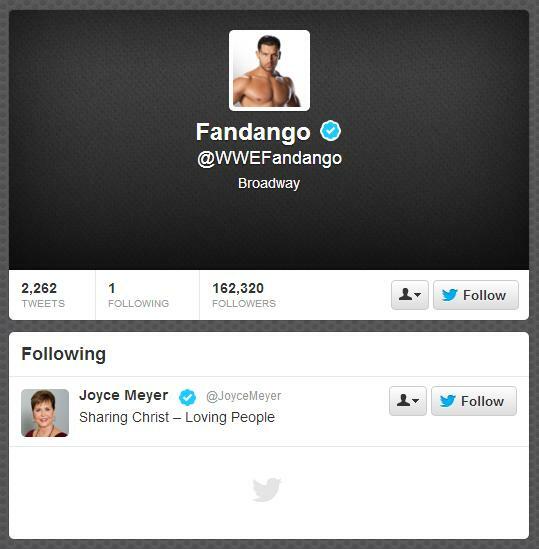 This entry was posted in Media, Wrestling and tagged fandango, fandango joyce meyer, fandango twitter, joyce meyer. Bookmark the permalink.